We've been really busy and tired recently, but we still managed to connect and deliver this awesome free flowing stream of consciousness masterpiece of an episode. We have more great interviews scheduled soon so keep it locked. On this episode we discuss drugs and music, Atlanta producers and sound, repping your city in your city versus repping your city outside of your city, Youtube's foray into the streaming service business with Youtube Red, more ridiculous work stories, chips on credit cards, how George Washington would feel knowing that his face is on currency that ends up in Black women's thongs, alien structures in space, how Jesus might have been the first Rasta, and so much more more. Please favorite, subscribe, and comment on iTunes, Soundcloud, and Stitcher. 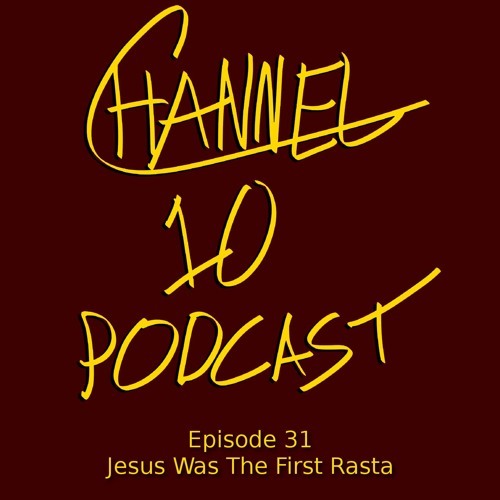 Visit channel10podcast.com for more dope episodes, and click the "Store" link at the top to purchase Channel 10 Podcast merchandise and support the podcast. @afro-daily: Right! Thanks for listening Bro! We appreciate it. real niggas listen to npr lol! @channel10podcast: no prob! stop in and check out the beats sometime. Respect from Canada.